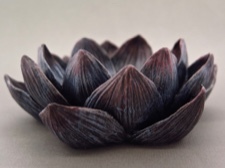 Out of the muddy murky waters emerges the most beautiful flower - the lotus. 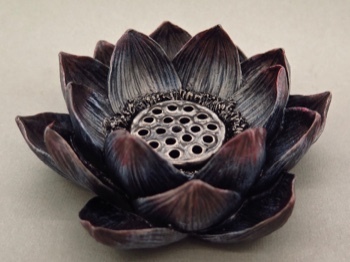 The Lotus flower symbolizes many things including purity, grace and serenity. It is also the national flower of India, where it is considered sacred. 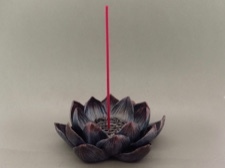 This bronzeplated resin incense holder has a circumference of 4.5 inches and is 1.5 inches tall. A lovely and serene addition to any home or personal altar.